The main issue in the development of solar cells for converting sunlight to electricity is that they are not efficient enough to truly be comparable to conventional energy sources. At the moment, typical commercial solar cells is made of crystalline silicon, and even the most advanced technologies exhibit power conversion efficiencies of around 20%, meaning every 100 photons or particles of light hitting the cell only generates 20 electrons in the electric current. This is a particular problem when you consider that the process of making these cells can also be complex and expensive. A newer type of cell that uses “asymmetric” electrical materials is much simpler to produce, but the efficiency was significantly lower than the commercial cells, topping out at around 14%. However, new research published in Nature Energy by a collaboration of researchers at the University of California, Berkeley has shown that this conversion efficiency can be increased to 20% or more, changing the game for conventional solar cell technology. Solar cells generally work by layering different kinds of materials that both generate and transport electrons to an external circuit. The surface layer of the cell must contain a material that can easily release electrons when irradiated with light. Releasing the electrons, which have negative charge, also creates holes left by the electrons. The cell must be able to direct the electrons to the conductive layer that can “carry” them to a particular destination, without letting the electrons fall back into the generated holes. This combination of electron generation and transport is usually accomplished with layers of silicon that contain small amounts of other elements that alter the characteristics of the silicon layer. However, the addition of other elements tends to lower the performance: for example, these types of solar cells often absorb light without generating an electron/hole pair, decreasing the cell’s efficiency. Making these cells also requires very high temperatures of greater than 800°C and complex fabrication techniques, all of which increases the cost of manufacturing. The Berkeley researchers avoided these disadvantages by making a cell that contains layers of different materials, without the need to add small amounts of elements to change the conductivity. The cell contains layers of lithium fluoride (or other metal fluorides) to carry the electrons and molybdenum oxide to carry the holes (by shifting the electrons around the holes). Special silicon layers are inserted between these contact layers to improve the generation of new electrons and reduce the loss of already-generated electrons. The use of molybdenum oxide and metal fluorides in optoelectronic devices is not new; the materials have useful complementary properties and are also transparent to visible light, making them ideal for generation of solar energy. Yet this is the first time they have been explored in silicon-based solar cells, and it turns out they are vastly superior to cell technology that uses similar materials for each layer. 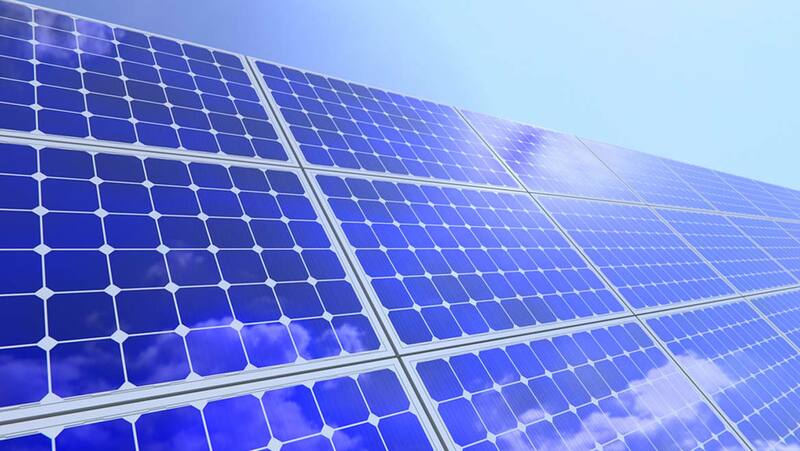 The new solar cell was much easier to produce than conventional crystalline silicon solar cells. For one thing, the layers could be formed at room temperature, eliminating the expensive process of heating to hundreds of degrees Celsius. In addition, the full production procedure consisted of only seven steps, whereas production of typical cells is complex and can often take at least 20 steps to complete. Combined with the fact that the cell showed significantly higher power conversion efficiency than other cells when exposed to sunlight, this new technology has a chance of competing with the commercial solar cells and drastically lowering the production cost of solar cell technology. The 20% barrier may still be insurmountable for these types of solar cells, but there is still plenty of room for improvement in the current fabrication process. The researchers at Berkeley believe that the aluminum surface on which they deposited lithium fluoride to create their electron-conducting layer could be replaced with silver or indium tin oxide. Other modifications could include improving the reflectivity of the rear side of the cell, or incorporating other types of conductive materials so that other steps of the production process could be performed at lower temperatures. The versatility of the approach, and the simplicity of fabrication, means that many different parameters can be tuned to improve the cell performance. In this study, the main difference from previous investigations was the use of metal fluoride—if the efficiency increased by more than 6% by making a single change, the odds seem high that the 20% barrier will soon be smashed and that solar energy may soon be a viable alternative in our society. J. Bullock, M. Hettick, J. Geissbühler, A. J. Ong, T. Allen, C. M. Sutter-Fella, T. Chen, H. Ota, E. W. Schaler, S. De Wolf, C. Ballif, A. Cuevas, A. Javey, “Efficient silicon solar cells with dopant-free asymmetric heterocontacts,” Nature Energy 15031, 2015. G. Roberts Jr., “Simplifying Solar Cells with a New Mix of Materials,” Berkeley Lab News Center, http://newscenter.lbl.gov/2016/01/27/simplifying-solar/ (accessed Nov. 6 2016). J. M. Gee, “The effect of parasitic absorption losses on light trapping in thin silicon solar cells,” Photovoltaic Specialists Conference, IEEE, 1988.